AgroSense is the key between the measurements in and on the field, and the specific knowledge you have of your farm. By versatile measuring the parcel you can plant, cultivate and harvest on right places, at the right times. The goal is increase your harvest while cutting costs. Because you probably will not do this alone, AgroSense has the feature to easily share workpackages, parcel info and time tables with your contractor and/or employees. Now you know exactly when and where cultivation is needed, which will make quality control easier and reduces the risks for a failed harvest. Managing your farm starts with mapping your farm plots. You may have a digital file you can import, or you can draw the plots yourself on the reference map. If your farm is making steps towards a digitlized environment the use of ISOBUS can't be that far away. ISOBUS analyses the day to day activities and links the data with everything that is needed for the day to day tasks. Consumers are becoming increasingly aware of the quality of their food and show more interest for where their food is grown. Harvest Locator is simply a tool for sharing product information with your consumers. 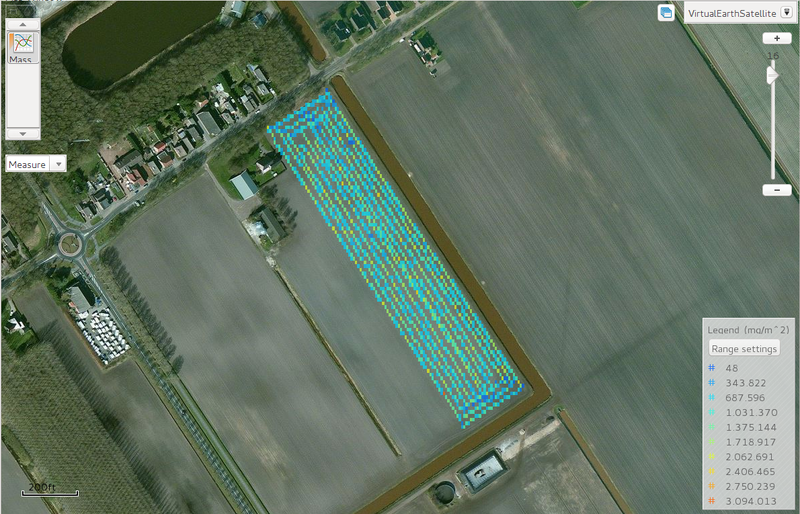 In order to support farmers who started using Precision Agriculture Technology we solved the issue of different data formats for sensordata.